Now most customer prefer electric heater defrosting when select a new refrigeration systems. Because it’s simple and easy to maintenance. People always like familiar things. Why not hot gas defrosting? What’s the difference. Hot gas defrosting is very mature and with long history. Without heater, it’s less breakdown actually. 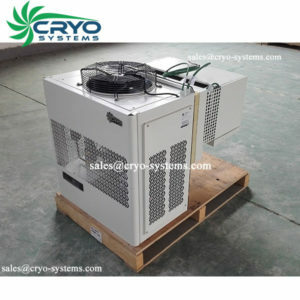 For our prefab walk in freezer, we’ll advise the monoblock refrigeration units, which are all hot gas defrosting. It’s automatic control. So customer no need to worry about the installation and how to control. For a big cold room projects, with several chambers, if we use electric heating defrosting, power consumption is huge if we look at the annual power bill. But if we use hot gas, most of them could save. Of course, the control system need to design. 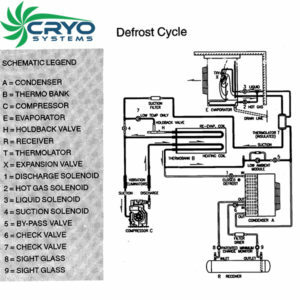 Below is one design for defrost cycle. Please check.